GOING, GOING, GANACHE will be released on April 2, 2013. 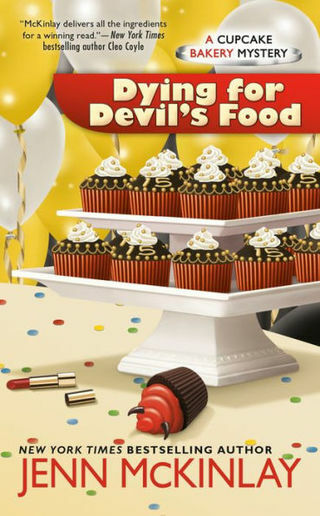 I’m very excited to be releasing the 5th cupcake mystery! CONTEST: To enter the Mystery Titles Contest and a chance to win a $25 bookstore gift card or a signed galley copy of Going, Going, Ganache, click on the picture or visit my website’s contest page and click on the contest picture to get started. It ends on Feb 4th. Easy peasy! I’ll be attending the Tucson Festival of Books, a wonderful event on the U of A campus, on March 9-10, 2013. I’ll be signing GANACHE at the Poisoned Pen in Scottsdale on April 6th at 2 pm. Or, more accurately, what isn’t on my mind? 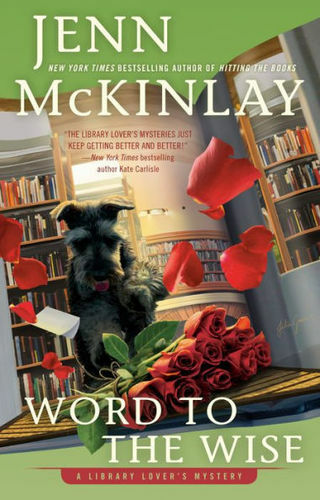 I’m trying to knit a bowler hat (yes, really, and just because), build a bookcase, manage the hooligans’ rock band (like father like sons – oh, my), and meet my April 1 deadline, which is the 6th cupcake mystery SUGAR AND ICED. The neurons are firing and misfiring all over the place, I tell ya! You’ll note cleaning my house was not on the aforementioned list of to do’s. Clearly, my priorities are perfectly in order. Now at the start of every year, I try to pick a word for the year. I have been sifting through my options, but since the crud hammered the frat house I live in with its phlegmy fist, and I became the fever taking, sympathy clucking, chicken soup and Gatorade delivery person for two solid weeks, I’m running a bit behind. Last year’s word was a beauty. I loved it. It spoke perfectly to the personal growth and development I was longing to achieve. I was feeling competitive (read as surly and petty) toward my fellow authors and their various successes. We all do it -- not that that means it’s okay, but hey, it’s a tough biz. So I decided I didn’t like feeling that way and in an effort to change, I printed the word EXCEL and pasted it over my computer to remind myself that I am not competing with others but trying to excel in my own right. It worked like a charm. I had a great year and cheered on my fellow authors with whole hearted delight. At the risk of having my mother tackle me and come at me with a hard block of Dial, I’ll share with you my word for that year. It was – look away if you don’t like potty words – a**hole. My goal was to get in touch with my inner assertive a**hole and stop being such a namby-pamby pushover. It helped a bit, but I do think my innate nature is that of a pleaser so I figure I’m a work in progress. And no, I did not print that word out and paste it over my computer. I could just imagine one of the hooligans asking, “How do you pronounce “**”?” Oh, horror! So, this year I am trying to come up with a word to keep in mind for the duration of the year. Something that will remind me not to let family movie nights, carpooling, karate practices, Hub’s gigs and my own deadlines pass by in a dizzying blur of oncoming traffic but will remind me to savor the dazzling and glorious moments that get lost amidst life’s laundry like a sock gone rogue. I remember on the eve of my wedding my dear friend Susie told me to be sure to try and enjoy the day. She told me that she didn’t remember anything about her wedding except the discovery that the bustle on her wedding dress forced her to enter the toilet stall in the forward position. It was awkward and the only thing she remembered clearly about the day. I took her advice to heart and paused frequently at my own wedding to take it all in. Pause is a good word but ENJOY is even better. My word for this year is going to be ENJOY. Yes, life is full of never ending challenges and frequent heartbreaks, but I am going to try to make the time to ENJOY it. All of it. Here’s wishing you a word of your own for the year. Make it a good one! 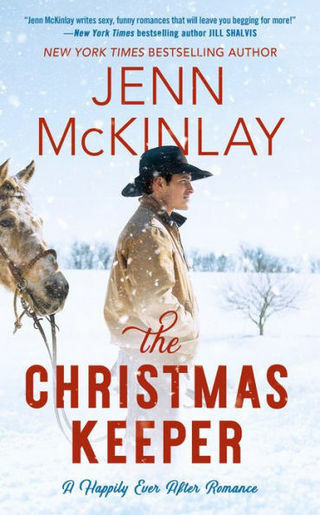 To find out more about what is happening with me, you can find me at my website (www.jennmckinlay.com) or on facebook (https://www.facebook.com/JennMcKinlaysBooks) or twitter (@JennMcKinlay). Preheat oven to 350. Line cupcake pan with paper liners. In a large bowl whisk together flour, corn meal, baking powder, and salt. In a medium bowl mix together sour cream, corn, butter, sugar, eggs and vanilla. Mix the wet ingredients into the dry mixture. Scoop the batter evenly into paper liners. Bake 20 to 25 minutes until a toothpick inserted in the center of the cupcake comes out clean. Let cool before frosting. Makes 12. In a small saucepan, melt butter over medium-high heat until nut-brown in color. Remove pan from heat, and pour butter into a bowl, leaving any burned sediment behind. Once it has cooled completely, add sugar, vanilla, and 1 tablespoon honey stir until smooth. If the icing is too thick, add the remaining tablespoon of honey, a little at a time, until frosting is the desired consistency. Garnish idea: Sprinkle with 2-3 fresh corn kernels.